◆ You have more than 100 BIG MONEY slots and 21 Bingo Rooms at your fingertips – whenever you want, wherever you are. 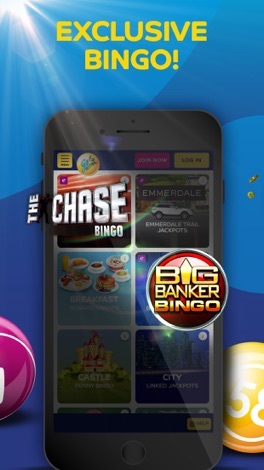 ◆ You can enjoy games EXCLUSIVE to Gala, including the popular Big Banker Scratch Card and famous Coronation Street Bingo, Slots and Casino games. ◆ You can choose from the most imaginative and entertaining Slots on the market. Enjoy the exotic Cleopatra, wonderful Adventures in Wonderland, magical Pixies of the Forest, colourful Rainbow Riches and explosive Dynamite Digger. 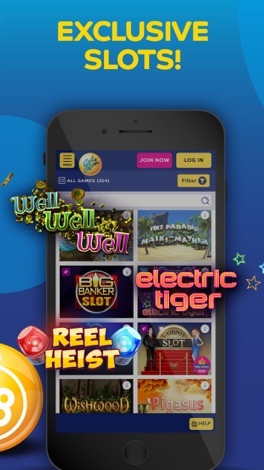 ◆ You can win INSTANTLY from on-screen Scratch Cards. Simply click-to-buy and rub the screen to reveal your prize! ◆ You can pre-buy tickets for ALL games 24/7! Snap up entry to the big games, then play at your leisure – either online or via the mobile App. 18+. New online customers only. Certain countries only. 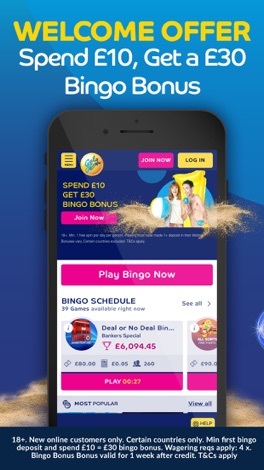 Min first bingo deposit and spend £10 = £30 bingo bonus. Wagering reqs apply: 4 x. Bingo Bonus valid for 1 week after credit. T&Cs apply. 18+. Min. £10. £10 cash spend on any slot or game. Bingo and Slingo excluded. 1 Happy Wheel free spin per day per person. 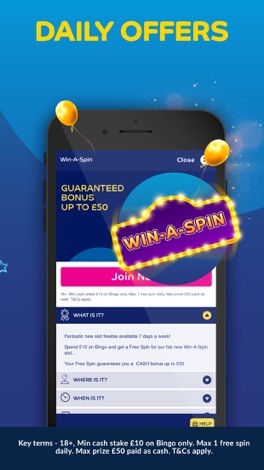 Login next day from 17:00 (UK Time) to claim free spin on Happy Wheel. Max. 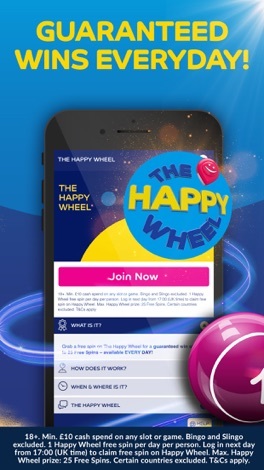 Happy Wheel prize: 25 free spins. Certain countries excluded. T&C's apply. GalaBingo.com is operated by Gala Interactive (Gibraltar) Limited (company number 106322). Gala Interactive (Gibraltar) Limited's address is 2nd Floor, Regal House, Queensway, Gibraltar GX11 1AA. Gala Interactive (Gibraltar) Limited is licensed by the Government of Gibraltar & regulated by the Gibraltar Gambling Commissioner (RGL 059 & 060). Promoter: Gala Interactive (Gibraltar) Limited, Regal House, Queensway, Gibraltar. Blue Energy for building installation. Cut energy cost without cutting comfort. Reduce your daily consumption in water, gas, oil, electricity. Proper renovation will benefit you moneywise in a short period of time. Find cases in Blue Energy App!